Mission: To BREAK NEGATIVE CYCLES! PodCast "Here Comes The Judge"
Leaders understand that we all go through and experience negative circumstances in our life. The key is to get back in the game, learn from the mistake and be sure to break the cycle before the same circumstance happens again! 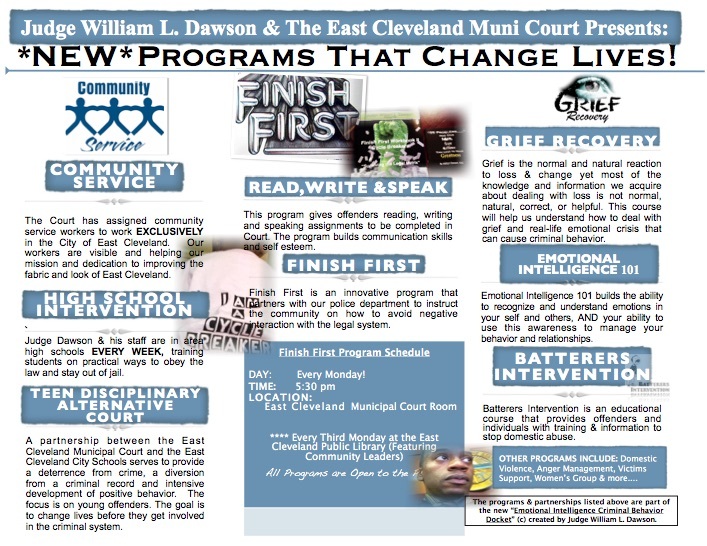 From “Adopt-a-Block, Cycle Breakers to Lemons to Lemonade” Judge Dawson is committed to helping you live your best life!